With our rich industry experience, we have been able to offer an exclusive collection of kantha designer printed bed cover/gudari. These bed cover/gudari are elegantly designed and carefully crafted using latest equipment and optimum quality fabric. The bed cover/gudari offered by us help in creating elaborate designs that can suit any home decor. 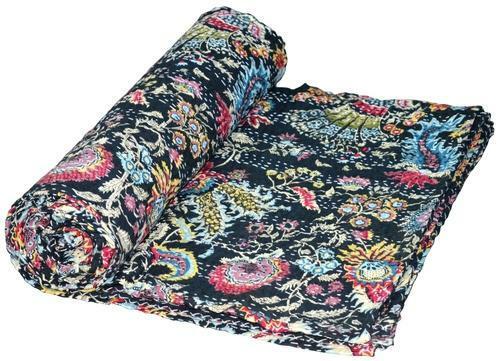 We are wholesale, supplier, manufacture and exports of Kantha Work Cotton Bedspreads, bed sheets, cotton quilts, embroidered cotton cushion covers, kantha work cotton jacats and many more handmade cotton products. 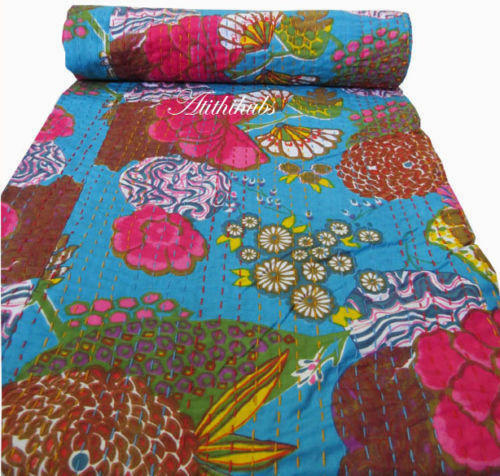 Bring to you and your relatives this fascination handmade Kantha work cotton bedspreads from us. It is decorated with Ramdev Handicrafts hard working team's handmade radiant Kantha work. This attractive bedspreads made from Jaipuri cotton fabric. 1. 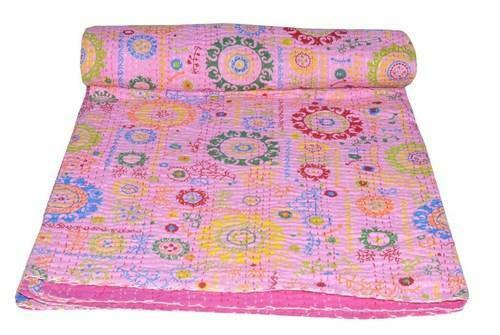 We are engaged in manufacturing and supplying a superior quality range of Handmade Patch Kantha work cotton Bedspread. These are offered in different sizes, patterns and colors. 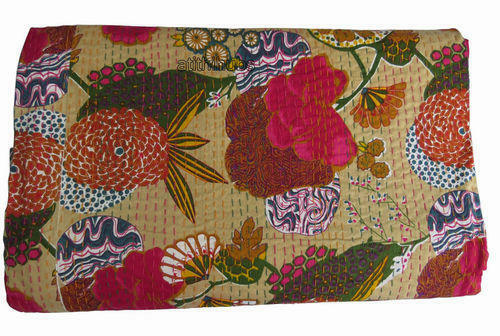 This tribal design Kantha bed cover design turned out really great and looks amazing on any bed. It is made from cotton fabric. This beautiful handmade bed cover can be used for a twin bed cover, or throw blanket. It's truly remarkable and takes many hours to complete. 1. 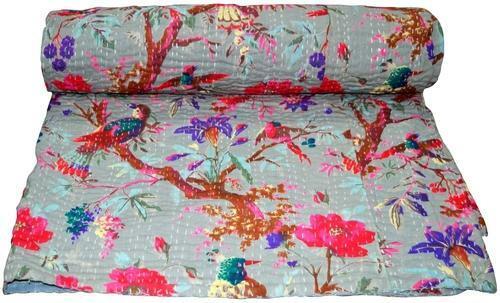 We are engaged in manufacturing and supplying a superior quality range of New handmade Kantha Bed cover. These are offered in different sizes, patterns and colors. 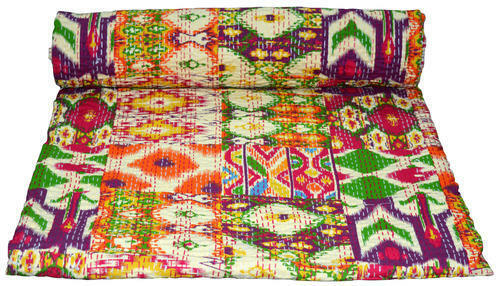 This tribal design Kantha bed cover design turned out really great and looks amazing on any bed. It is made from cotton fabric. 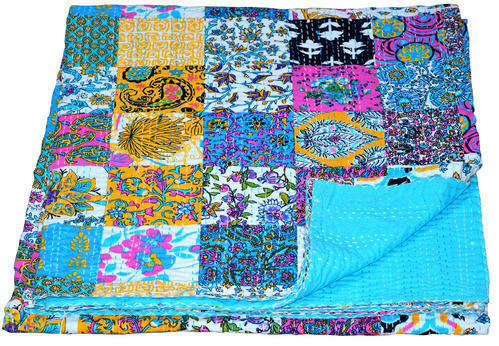 This beautiful handmade bed cover can be used for a twin bed cover, or throw blanket. It's truly remarkable and takes many hours to complete. 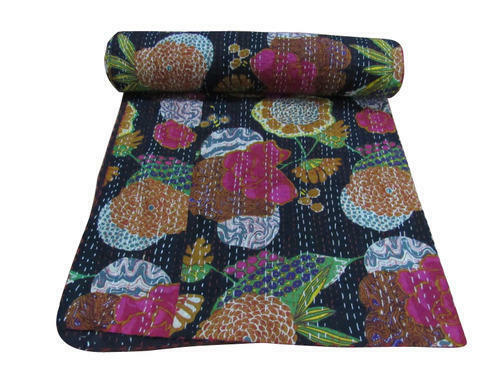 Looking for “Kantha Bed Cover-Gudari”?